To assist, through athletics, each member of Clonmel Athletic Club to reach their full potential, physically and mentally, in an atmosphere of friendship, co-operation, fairness, equal opportunity and safety and to assist in the development of athletics in Clonmel and surrounding areas. A Management Committee will manage the Club on a day-to-day basis. The Management Committee should comprise of at least 17 elected members in accordance with Section 3.4 of this Constitution. These shall include a Chairman, Deputy Chairman, Secretary, Registrar / Competition Secretary, Treasurer, Asst. Treasurer, PRO Officer. The Management Committee should not exceed 17 members. In addition to the elected members of the Committee, the Management Committee will elect, from the incoming committee a Child Protection Officer(s) in accordance with the Code of Ethics for Children in Sport. The Management Committee will elect a Coach’s Representative from the overall Committee. (This person can also hold an officer ship). The Management Committee may co-opt other members as required once they comply with section 3.4 of this constitution provided the total number doesn’t exceed 17. Only paid up members of the club can seek election to the Management Committee. To be eligible for membership of the Management Committee one must be a member of the club for one year and be 17 years of age and over. Any member of the Committee may seek re-election to the Committee or to any post. The Management Committee will have the power to appoint different sub-committees and to approve membership of each sub-committee. Management meetings shall take place monthly but at least eight times a year. The only vote that the Chairman has is the casting vote. If, for any reason, the Membership of the Committee falls below 17, the Management Committee has the power to co-opt additional members from the Registered Membership. Positions not filled at the AGM may be filled by co-option by the Management Committee in accordance with Section 3.4 of this Constitution. Minutes of Previous meeting and Agenda of upcoming meeting to be issued to all Management Committee members at least 24 hours before upcoming meeting. The Management Committee may request a member to act on its behalf in any forum. 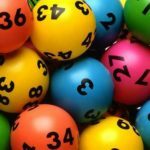 It will be the responsibility of the Management Committee to secure funding for Clonmel Athletic Club from the Lotto, County Council or any other available sources. No expenditure greater than 1000 Euros can be spent without the approval of the Management Committee. Where expenditure for the club is over 5000 Euro, tenders should be obtained from at least three suppliers unless there is only one specialist supplier, where practical. A report on all attendances at committee meetings during the year will form part of the Secretary’s Annual Report. It will be held annually in December. To vote or to serve or to seek an Officer ship a person must be a fully paid up registered member by the 1st of November prior to the AGM. This doesn’t preclude anyone from been a member after the 1st of November but does prevent them from voting at that AGM..
Any paid up Registered Member may propose an Amendment to the Constitution or a motion once the motion is seconded by another Registered paid up member. These should be notified in writing at least ten days before the AGM to allow the Secretary to copy them and to circulate them to all paid up members. Motions and Nominations must be proposed by the Proposer at the AGM, failure to be there in person to propose the Motion or Nomination will deem the Motion or Nomination as invalid and will be struck out. Voting at an AGM is allowed on the basis of one vote per paid up member 17 years of age and older. All recordings related to the meetings and correspondences remain the property of Clonmel Athletic Club and should be held by the Secretary. An outgoing Secretary hands these over to the incoming Secretary at the AGM . A secret ballot will take place where there in one or more nominations for a position or where there are more than the required number seeking to go on the committee. Any four members of the Management Committee can call an EGM or 15 signed up and paid up members in accordance with section 3.4 of this constitution. All 4/15 must sign the request and must include, in their application for an EGM, the reason for the request. Any request for such a meeting must include copies of any proposed amendments to the Constitution or any motions, signed, proposed and seconded by fully paid up members. Payment of the requested fee agreed at the AGM is required before the end of January each year unless agreement is reached with the Treasurer for payment by arrangement otherwise. For new members, membership must be paid within 3 weeks of their first Club training session. Transfer applications from Clonmel Athletic Club will be dealt with at the Management meeting and submitted to the County Board subject to the rules of AAI. No transfer will be accepted or approved if there is any financial liability outstanding. Liability of Clonmel Athletic Club will not be the liability of the Management Committee but will be the liability of all its members. Membership can be terminated in exceptional circumstances. They have the right to appeal. Chairman : It is the function of the Chairman to organise and chair meetings. The Chairman also gives the Chairman’s addresses at EGMs, AGMs and any function organised by the club. Only where a vote is tied does the Chairman have a casting vote. In a case where the Chairman has a specific interest, the Deputy Chairman takes over this role. The Chairman is one of the members listed who can sign cheques. This is his only function in relation to finances. The Chairman may have a role in relation to correspondence of a strictly personal and confidential nature. Registrar / Competition Secretary: deals with the Registration of all members and keeps an up to date record of Registered members, which must be available at all meetings. This person will also be responsible for sending in Entries to all Competitions. Treasurer: maintains strict financial records of all incoming and outgoing monies in accordance with normal accounting procedures. The Treasurer can sign for necessary expenditure for the running of the club up to 5000 Euro, subject to it being receipted and reported to the Management Meeting. The Treasurer may keep correspondence of a highly personal and confidential nature in relation to members in difficulties. This will not be read at meetings. Assistant Treasurer assists the Treasurer in ensuring that the Finances of the Club are controlled in accordance with normal accounting procedures and takes over in his absence. The Assistant Treasurer is one of the officers who can sign cheques. Public Relations Officer ensures regular media coverage of athletes’ achievements in the local media, ensures coverage of the club’s fundraising activities as well as all other Club activities. Coach’s Representative maintains a liaison between club management and day-to-day activities of coaching. The Coaches Representative will chair the Coaches Meetings and will report outcomes of said meetings to the Management Committee. The Coaches Representative relays any request for equipment to the management meeting. The Coaches Representative ensures that training is carried out in safety and is suitable for the age and ability of the various age groups in line with the guidelines given by the NCC. Child Protection Officer(s) is/are responsible for safeguarding the well being of its juveniles in accordance with the Code of Ethics provided by the Sports Council. The Child Protection Officer implements the policy as provided in that code. Sub-CommitteesSub-Committees are governed by the rules of Clonmel Athletic Club as at section 3.4 They must be a minimum of three Committee members of which one must be an Officer. They may have non-members as participants on the committee. Sub committees may use the club logo and subject to parental permission of athletes media material for the good and development of the club. They must seek the permission of the Management meeting to spend any finance. Sub Committees can co-opt non-club members onto their committee but all sub committees must be ratified by the Management Committee. The Treasurer or Assistant Treasurer will chair the Finance Committee. The day-to-day funding of the Athletic Club is to be funded by the annual subscription fees as agreed at the AGM as well as other fund raising activities agreed by the Management Committee. The Membership fee covers Registrations and Insurance. It is not intended to cover transport costs. When any item costs more than 5000 Euro tenders from three suppliers must be sought unless it is been supplied by a specialist supplier, where practical.. The Club may not borrow in excess of 250,000 Euro without seeking the approval of the majority of its members at an AGM or an EGM. Full details of the proposed expenditure must be given to the membership. The membership, not the Management Committee, carries the joint liability for any funding borrowed. Clonmel Athletic Club can be dissolved if a motion to that effect is proposed at an AGM, EGM subject to two thirds of the total membership being in attendance and subject to the motion been passed by 2/3rds of a majority. To dissolve the Club the motion needs 2/3rd of the attendance to pass it.